Adoption Profile - Hopeful adoptive parents, Mikel and Odessa, wish to adopt a baby. Now that we've found one another, our only missing puzzle piece is a baby to add to our fun and loving family. We are Mikel and Odessa, and we and all of our friends and family are overjoyed that we are planning to grow our family through adoption. Both of our mothers live very close, and are already discussing how to divide baby-sitting duties once we go back to work (secretly, I think they wish we would need them more than 4 days a week!). They've adopted the nickname 'The Grandmas' and it definitely suits them. Our immediate family today consists of the two of us and our rescue dogs (Mara and Riker) who are also very excited to have a human sibling. They're very gentle, small dogs who enjoy being snuggled and cuddled, as well as running around our big backyard. Our home is full of laughter (Mikel is definitely the funny one), love, and fun, and we have known that we would become parents through adoption since the very beginning of our relationship. 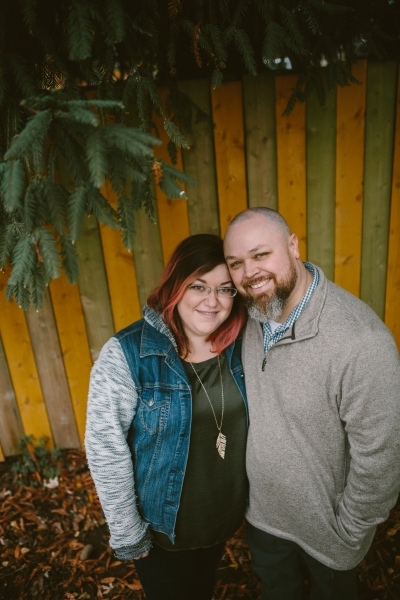 After learning of her infertility at age 15, Odessa has always known that adoption would be her plan, and Mikel has embraced this just as fully. Our hope and goal is that you find the right path for you and your baby, whatever that might be. If that includes giving us the chance to parent, we would be proud to raise your child to know your story, and to be a strong, independent, resilient and compassionate person. We hope you will take a look at the rest of our story and get to know us a bit better. We can't wait to hear from you! 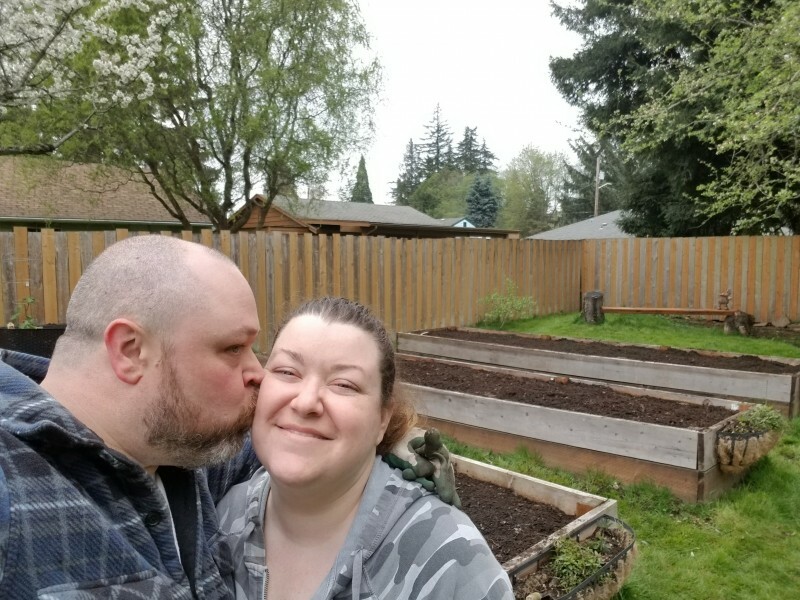 Garden is tilled and ready for planting! Cheesy selfie after a job well done! 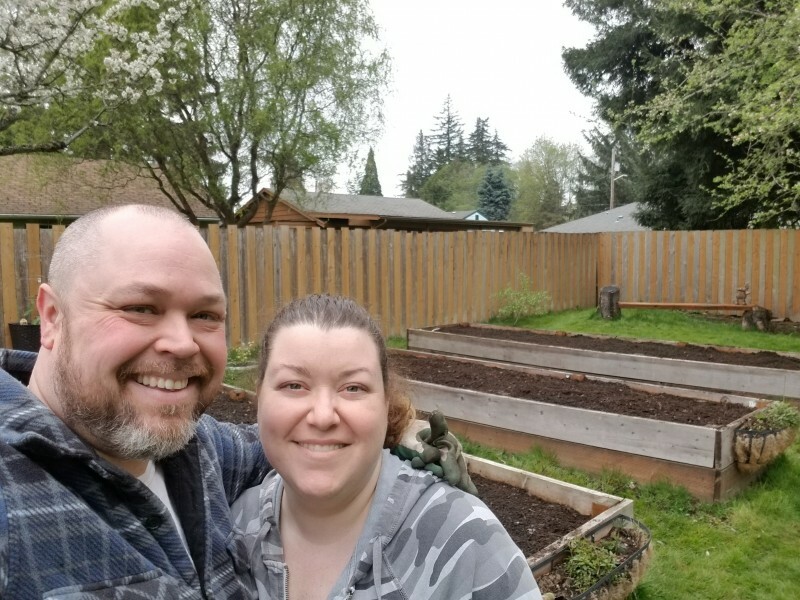 We got a late start gardening this year because of all the rain we’ve been having, but we finally had a sunny day, so we got out and rototilled our garden beds today to get them ready for planting! We added lime and manure to enrich the soil, and tilled in last fall’s leaves which had been composting all winter. Next week we will put up the bean trellis we built last year, and start planting seeds! Today we met up with Odessa’s father, stepmom, and brother for her dad’s 66th birthday, and had lunch at a local restaurant together, then went to a park together to walk off the amazing blackberry-strawberry cobbler we all couldn’t resist! Much of the conversation was about Mikel’s new job, and our process to adopt. They are all super excited and looking for ways to understand and help us, which is so heartwarming. They all live about 40 minutes away, and have been looking for a home closer to us to be more involved and available as we raise our family.